BeLF is working with some primary schools in Birmingham to investigate if the iPad is beneficial to teaching and learning. The pilot schools are Moor Green Primary, Hill West Primary, Clifton Primary and Osborne Primary. The schools are looking at how they can use the iPad in education. Each of these schools has been provided with an iPad by BeLF to test and use in the school. 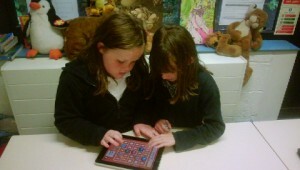 They have been looking at various different apps and the issues about using the iPads in classrooms. We have had positive feedback and aim to roll-out the iPads in this grant round. If any schools are interested and would like more information please contact Sophie.